Research has already shown us that making art is a good stress reliever, even if your skill level is more kindergartener than Picasso. Now a new study from the University of Otago in New Zealand suggests that these mood-boosting effects can be gained from even the most straightforward crafts. As the Independent reports, knitting, baking, crocheting, and jam-making were all found to produce an “upward spiral” effect that carried over to the following day. For the study, published last month in The Journal of Positive Psychology, researchers from the university’s department of psychology asked 658 students to record their daily experiences and emotional states in a diary for 13 days. Following the days when subjects took part in something creative, they reported feelings of positive personal growth that psychology defines as “flourishing.” In addition to crafts and cooking, researchers also cited painting, sketching, writing, musical performance, and digital design as some common creative activities students completed. These results shouldn’t come as a surprise to anyone who’s experienced the zen-like effects of knitting a scarf or crocheting a blanket. 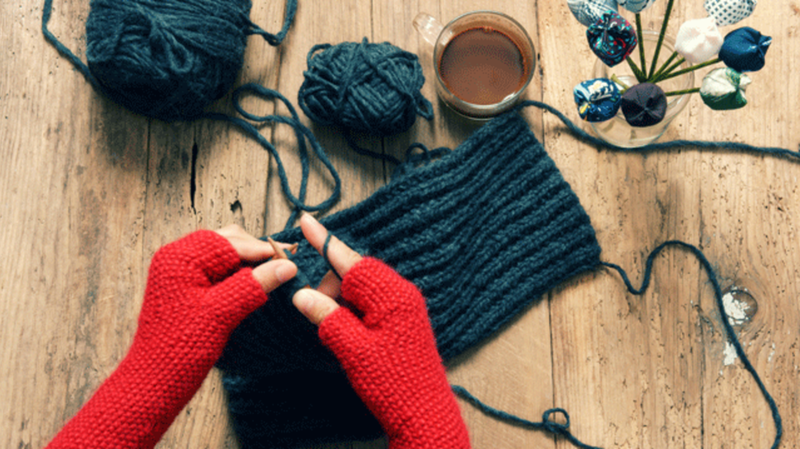 According to the Craft Yarn Council, stress relief and creative fulfillment are the top two reasons knitters and crocheters give for partaking in the hobbies. Baking has also been touted as a form of therapy, with some mental health clinics using time in the kitchen as a treatment for depression. Another benefit of improving your mood through creativity is that the results of your labors can be shared with others—so if you’re still in need of gifts for the holidays, we suggest heading to the craft store and reaping some of the benefits yourself.